Welcome to our Buy Trip Showcase! If you've ever wondered how we've come across all of our hub caps and wheel covers, these are buying adventures that got us to where we are today! 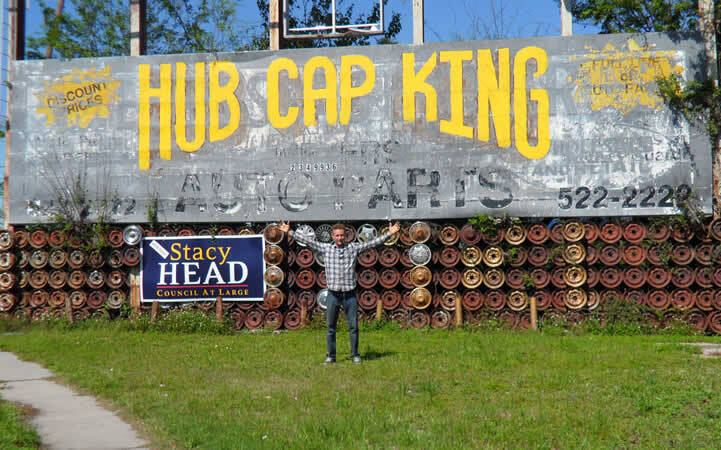 Rick Mefferd, the owner at Hubcaps.com travels all over the United States in search of large loads of hub caps! Whether it's a Hubcap Shop that is going out of Business or a Tire Shop that has been saving up Hubcaps & Center Caps for years, the possibilities are endless! 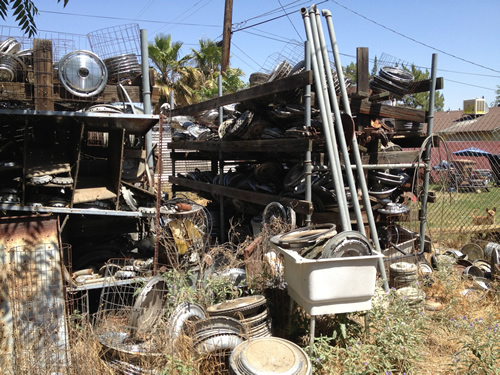 We have gone through Wrecking Yards, Personal Collections & Trailers Filled to the top with Hubcaps! Do you have any Hubcaps for Sale? Give us a call! 1(800)826-5880! Our owner recently spent an entire week away from our "Home" in Chino CA. to scour through the wrecking yards and tire shops of Bakersfield CA! 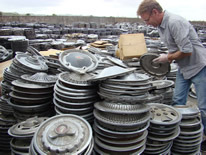 This particular buy trip was very rewarding because our boss, Rick Mefferd, had the chance to sort through someone's personal collection of over 50,000 hubcaps! 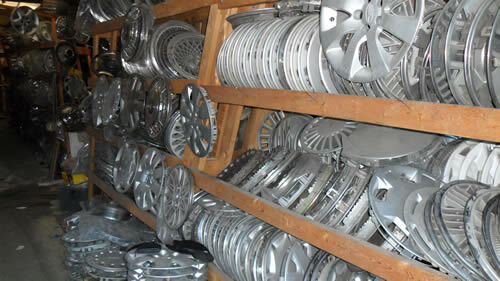 In the end, we found some really rare wheel covers and brought home several thousand hubcaps to add to our inventory! This was a one of a kind adventure you will not want to miss! 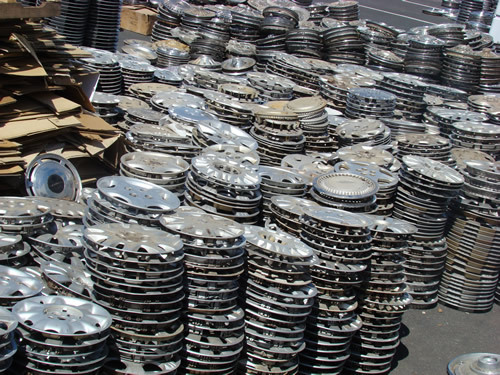 In October of 2013, our owner and our restoration manager spent several days in 105-degree weather sorting wheel covers in a 100-acre wrecking yard in Fresno California! 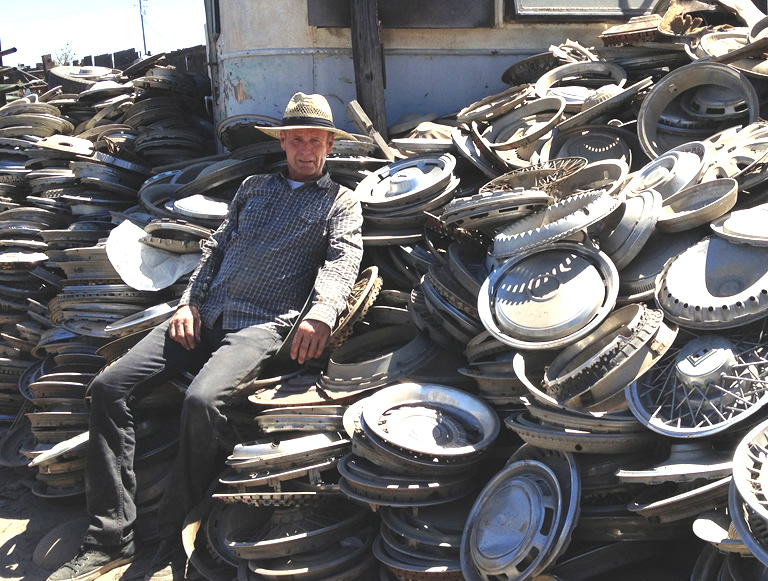 Among the rusted cars and 40 ft. wide mountains of hubcaps, they found thousands of valuable, classic wheel covers that almost didn’t fit in the truck! Freezing weather, a trek through over 50 salvage and wrecking yards and two men doing the work of dozens. That sums up our Texas buy trip in a nutshell. Not only did they collect 40,000 hubcaps on this trip but they worked in icy weather, in ankle deep water and gathered enough wheel covers to have to be brought back home by train! 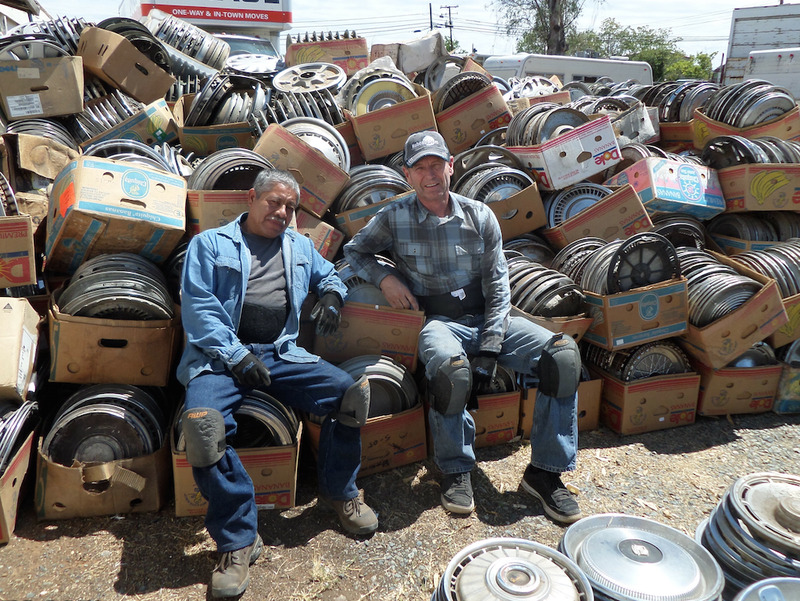 In Oroville California, our guys found the best load of hubcaps in its entire history! Our owner and restoration manager picked through 70,000 hubcaps at Rusty’s Hubcaps and brought back a huge truck filled with over 18,000 wheelcovers of valuable, antique items. Although this buy trip was very successful, it was also very sad because we acquired the inventory of a great business destroyed by Hurricane Katrina. 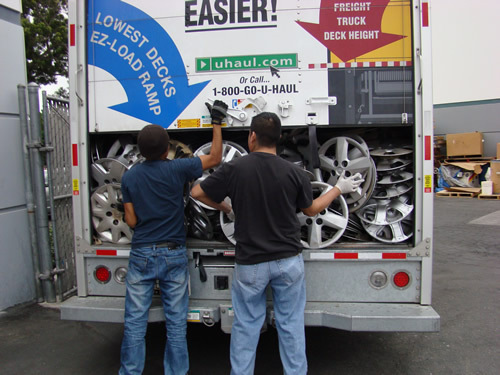 This particular load had to be shipped back to our location in Southern California by train and we ended up with a wonderful mixture of vintage and newer model hubcaps. Check out the pictures from our Utah buy trip! This trip was taken all over Salt Lake City Utah and Las Vegas and ended with our boys coming back with over 7,000 hub caps and wheel caps! Two guys loaded all that into a truck and drove it all the way to our location in Chino, Southern California! You do not want to miss this Time-Lapsed video of our buy trip in Oregon! Even though there was only one stop; it was a lucrative trip that added a few thousand awesome hubcaps to our inventory. Once loaded, these wheel covers and center caps were driven back by truck to our Hubcaps.com warehouse in Southern California. Just recently in August of 2014, our restoration manager Fabio and our owner Rick Mefferd went on a buy trip to Reno Nevada! 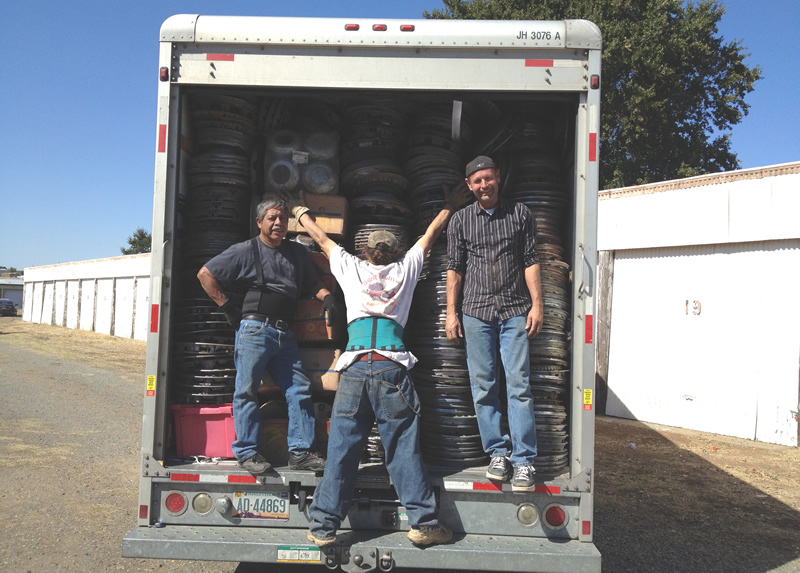 They hit several locations from there to Northern California and enjoyed perfect weather while loading over 5,000 hubcaps! They got them all into the truck (with the assistance of a special helper) and drove them back to our location in Chino, California! Check out this page about the origins of Hubcaps.com and the family behind it! Don’t miss out on the video and pictures that go along with the family buy trips and the work that was shared in order to make the company that we are today. Don’t forget, that same spirit is still in practice today and is what makes us such an awesome business! Don’t miss out on this buy trip to Glendale Arizona! Our boss did this one entirely on his own, from sorting to loading to driving the long hours back home to Chino California. It paid off though! The U-Haul full of wheel covers and center caps was the perfect reward for all that hard work and sweat! Get a good look at this page, video, and pictures of our buy trip to Northern California a few years ago! Our boss loaded hundreds of wheel covers and center caps himself and drove the truck back down through our home state to our location in southern California! 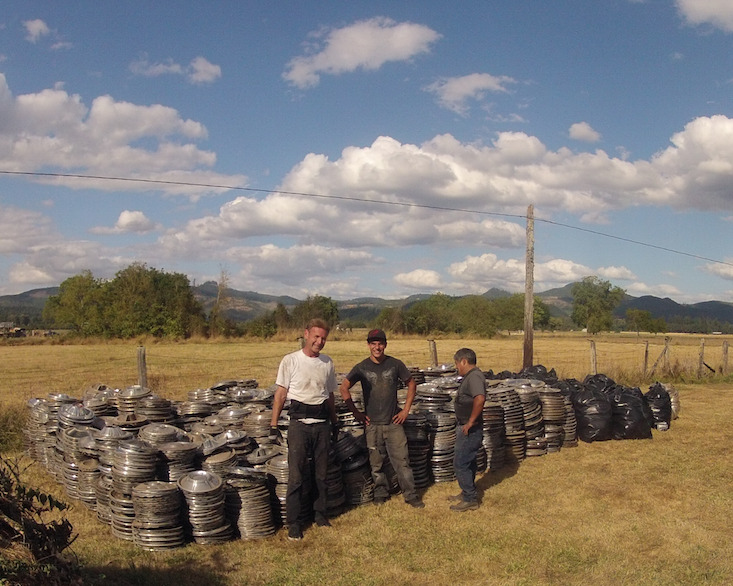 It was awesome to have accumulated so many needed, newer hubcaps! Check out this buy trip page to Phoenix Arizona! Our boss took this one alone, which means he loaded all the wheels, center caps and hubcaps completely by himself! We always appreciate trips like this that allow us to continue to stock the items that you all need for your cars and trucks, and this one was not only good for us but also for our sister company Originalwheels.com! Check out this page that we made especially for our most recent buy trip, Salt Lake City Utah! 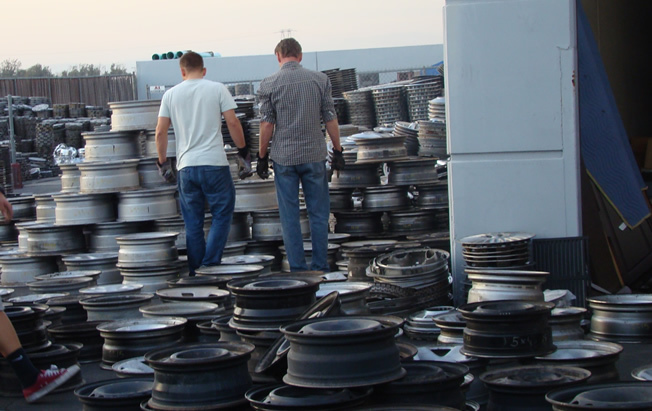 Despite working in a gloomy atmosphere, our guys brought back an amazing load of hubcaps to add to our collection! This was a mainly vintage load that is especially beneficial to those of you out there restoring classic vehicles!